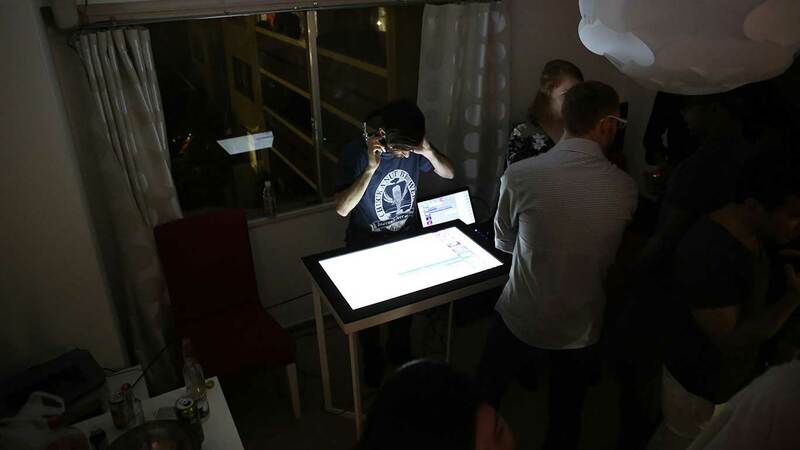 PlanMixPlay at the first ever 'Prototype Party' in Roppongi, Tokyo, Japan. Captivated crowd at the 'Prototype Party'. The projection display in the background. No upcoming shows. Not even a slide-show.